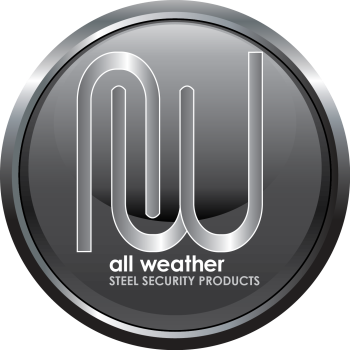 Protect Your House and Family with our Steel Security Storm Doors. Superior Quality, Functionality and Industry Expertise are Just a Few Of The Things That Set Us Apart. With over 200 Design, Color and Accessory Options, We Guarantee You Will Find Something To Suit Your Tastes. After All Who Said Security Has To Come At The Price Of Style . . . .
40 Years of Industry Knowledge Has Enabled Us To Develop a Line of Doors Strong Enough to Endure The Abuse and Security Issues Required by the HUD housing projects. Our “Marathon” Doors Have Become An Industry Standard with many authorities. Browse through our curb-friendly steel storm doors, steel security doors and steel screen doors. Over 100,000 doors supplied to HUD. The Air Guard is the Ultimate Prevention Against Theft. With a 16 Gauge Welded Tubular steel Construction, The Guard is Near Indestructible. The Guard Also Serves as a Barrier Against Harmful Debris or Other Unforeseen Elements That Could Potentially Damage The Condenser. . . .